Phineas and Ferb are going to complete some interesting challenge. They want to deliver snow on the other side. 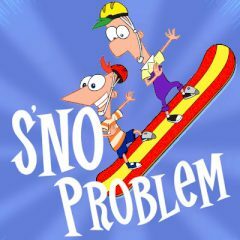 Phineas and Ferb are going to deliver snow to the other side of the backyard and they need your guidance. Just show them the best spot to place the trampoline and have fun!